Brighton is a colourful place all year round but every year the city’s urban parks, historic squares, and rural outreaches take on a special fiery golden glow. 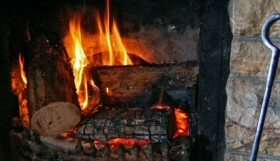 Here are just a few of the precious places that deliver seasonal succour as the days get shorter and winter beckons. Take a stroll, discover something new, and then reward yourself with a warm soup, real ale or hearty roast with our autumn walks in Brighton and retreats guide, before the brazen colours of autumn fade away. It’s easy to miss the delightful Preston Rockery, cascading down a railway embankment just across the main road from Preston Park. The Rockery is thought to be the largest municipal rock garden in the UK, with an intricate design based on the Chinese story of the Willow Pattern. Over 1,350 tonnes of Cheddar Gorge stone were brought from Somerset to create this horticultural spectacle which opened in 1936 and thanks to recent renovation work, this gem is looking resplendent, particularly if you catch it in dazzling autumn sunshine. 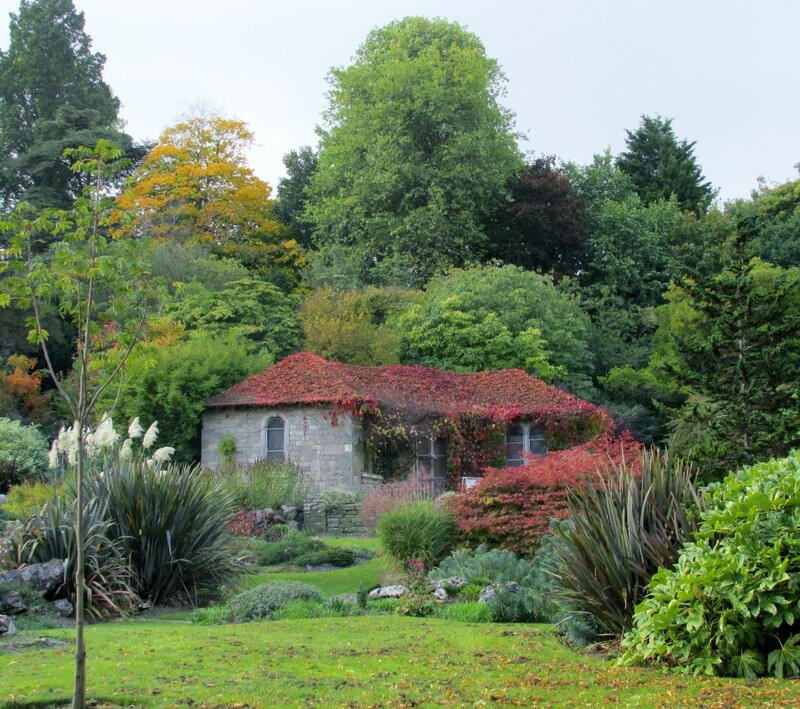 It’s the most bio-diverse green space in the city and is brimming with rich autumn tones – deepest red Virginia Creeper drape the old chalet, and pampas grasses, alpine plants, ferns and colourful shrubs complete the scene. The Rockery’s stepping stones, twisting paths, steep steps and fairy-tale bridge were designed to integrate playfully with the plants and pond life. 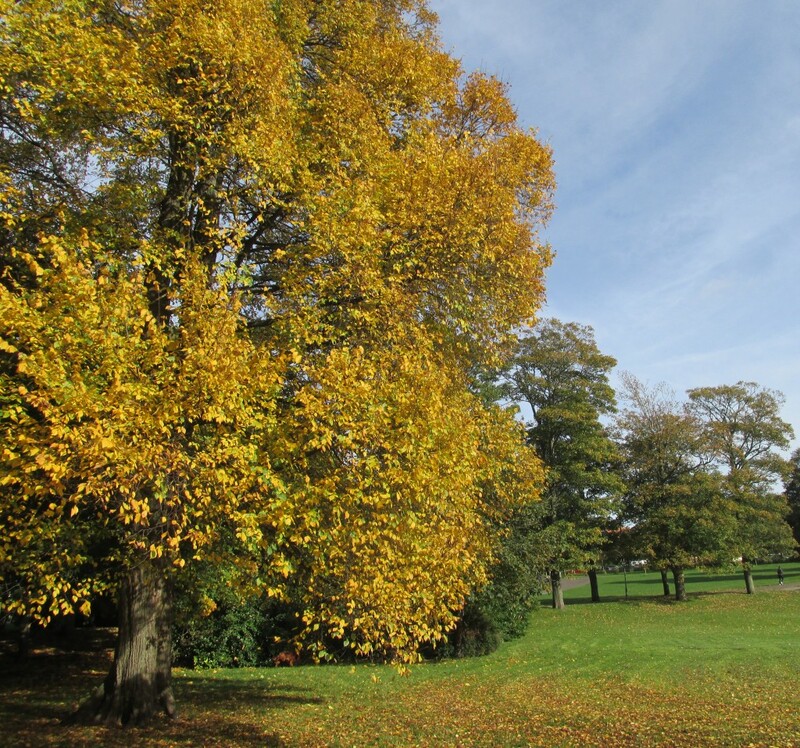 Autumn is a fabulous time to clamber up this rocky secret garden because from the top you’re rewarded with a spectacular view of Preston Park in all its russet and golden glory. After all that exploring and climbing you deserve a treat! 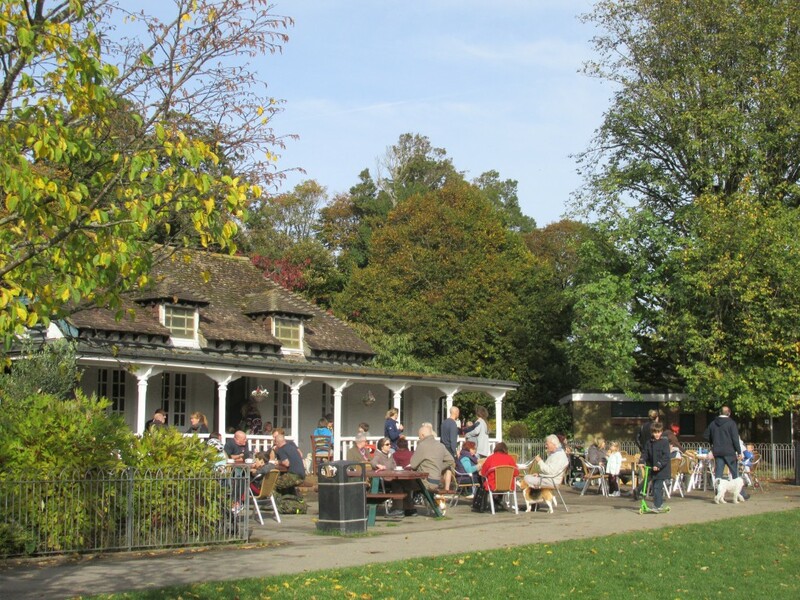 Head over the road to Preston Park’s welcoming Chalet Cafe for a cuppa and delicious bacon sandwich, or eggs on toast – great service, fair prices, and if the sun’s out, you can dine al fresco, taking in views across Preston Park to the Clock Tower and surrounding trees in all their autumn glory. On the north eastern outskirts of Brighton, adjacent to the University of Sussex campus, lies local nature reserve Stanmer Park. This historic green space encompasses the lovely old village of Stanmer, as well as Grade II listed Stanmer House and pretty Stanmer Church. In Brighton the countryside really is on your doorstep! 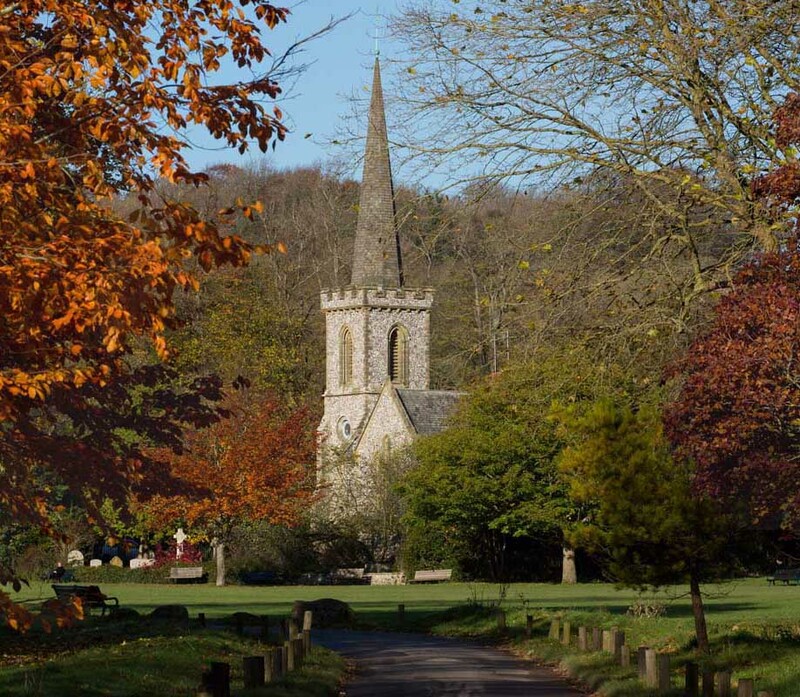 Dating back to the Doomsday Book, Stanmer Park is easily reached from the city centre by bike or bus (25 and 78), so a hearty walk here is a real autumn treat. Look out for the ancient village pond and Donkey Wheel. Glimpse the future as well as the past: In 2005, the first Earthship in England was established at the park by the Low Carbon Trust, so you could also plan a visit to learn more about eco living. For the best autumn colour, wrap up and take a stroll in the Great Wood, on the western side of the park. There’s a good chance of spotting deer as well as enjoying the falling autumn leaves and colourful canopies. Paths to the north and west lead into Wild Park and the open South Downs countryside so you can really stretch your legs if feeling energetic. For a shorter hike, head up the steeper incline on the east of the main park for more woodland walks, as well as open spaces that afford views across the Downs towards the Amex Stadium and Cuckmere Haven. Once you’ve worked up an appetite, pop into the Stanmer Tea Rooms at the far north of the park, which has a timeless village feel, is dog friendly and serves fabulous breakfasts, omelettes, jacket potatoes and roasts. 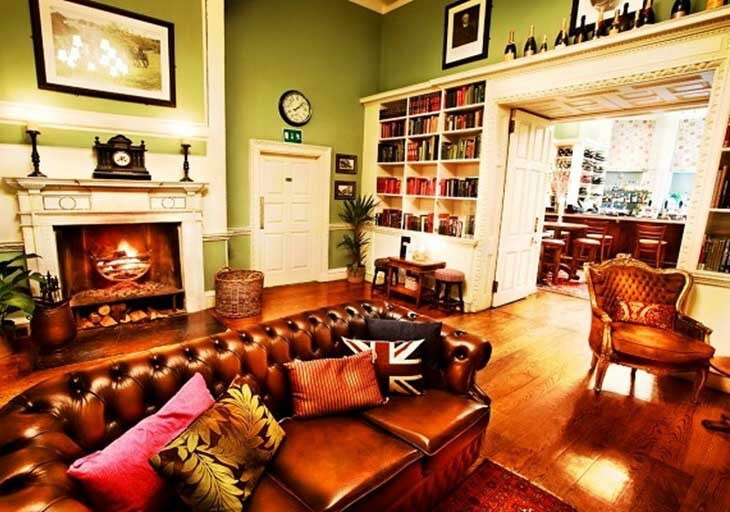 Or you can enjoy the extensive lunch and dinner menus at Stanmer House. The restaurant inside this beautifully renovated building serves steaks and risotto, burgers and filled bagels, as well as indulgent desserts. Originally built in 1722 for the Pelham family, the imposing mansion was also home to a mistress of King George IV, so it’s a great place to relax after a walk, soak up some local history, and take in vibrant views across the park. The Royal Pavilion sits proudly in the heart of Brighton in smartly maintained gardens, and these take on glorious colour during autumn. 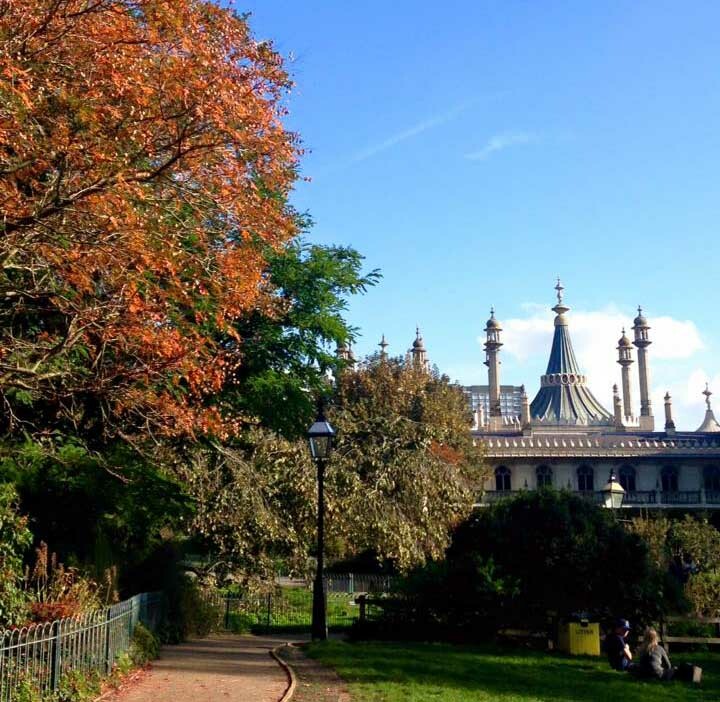 The yellowing trees and shrubs perfectly offset this famously outlandish building, and strolling around the Royal Pavilion Gardens is an easy, relaxed way to escape the busy city streets while witnessing the seasonal change. 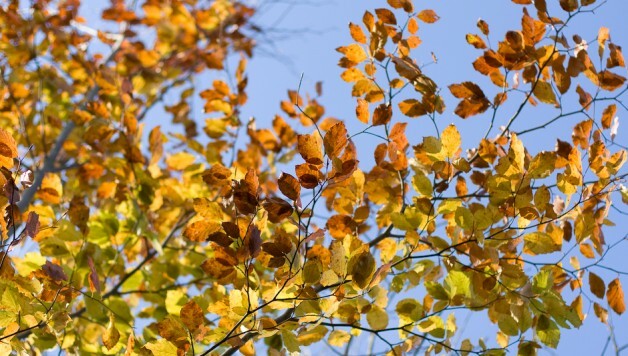 Tree fans will be in their element: There’s a wide range of elms, weeping cherry, ash, London plane, almond, hawthorne, Turkish oak, silver birch and weeping willow to name just a few. If comedy icons are more your thing, look out for the Max Miller statue. 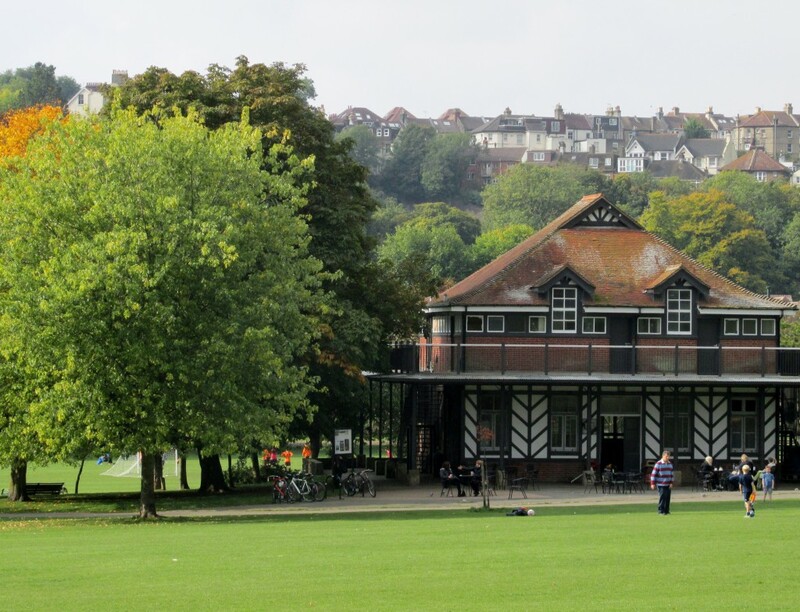 At the heart of all this splendour is the Pavilion Gardens Cafe which offers a leafy outdoor setting and stunning views of the world famous palace and gardens. Drinking tea and tucking into one of their legendary Rock Cakes is something of a tradition in Brighton. 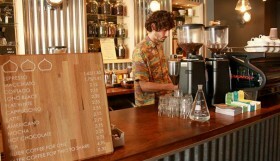 In fact this family run café has been delighting customers for over 70 years. Little has changed, which is sometimes a good thing, and it’s clear the service is five-star, the coffee is excellent, and the freshly baked cakes are knockout. 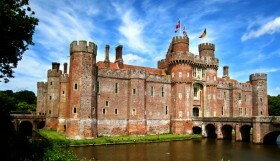 To top it all, the location is hard to beat… weather permitting! If you’d prefer to view the autumn palette of the Pavilion Gardens from a cosier vantage point, there is an alternative. 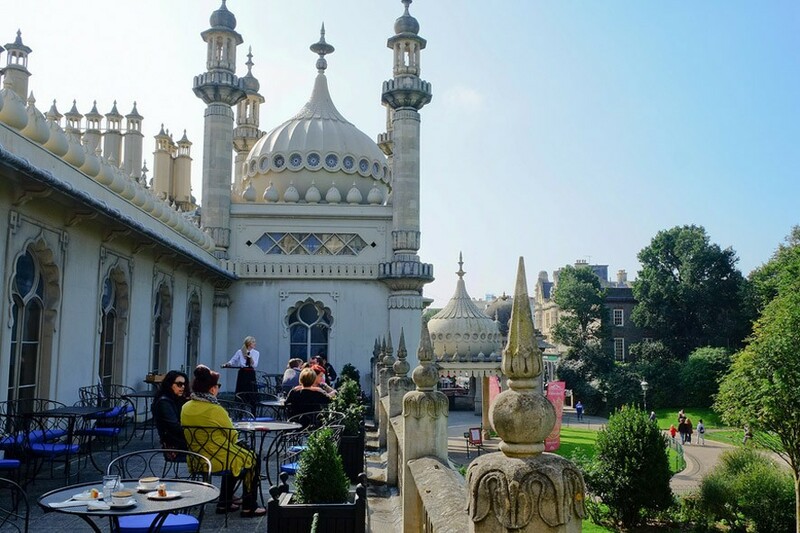 As a visitor to the Royal Pavilion you can access the Pavilion Tearoom and tuck into a cream tea or dainty sandwiches while gazing down at nature’s spectacle. Being on the upper floor of the Pavilion, the café provides a panoramic view while you relax in velvet chairs in décor that reflects the Chinoiserie style of the palace. On warm days the French windows to the balcony are opened to bring you that bit closer to the autumnal action. Stroll up Dyke Road, just north of the city centre’s Clock Tower, and discover a beautiful and ancient oasis of calm. 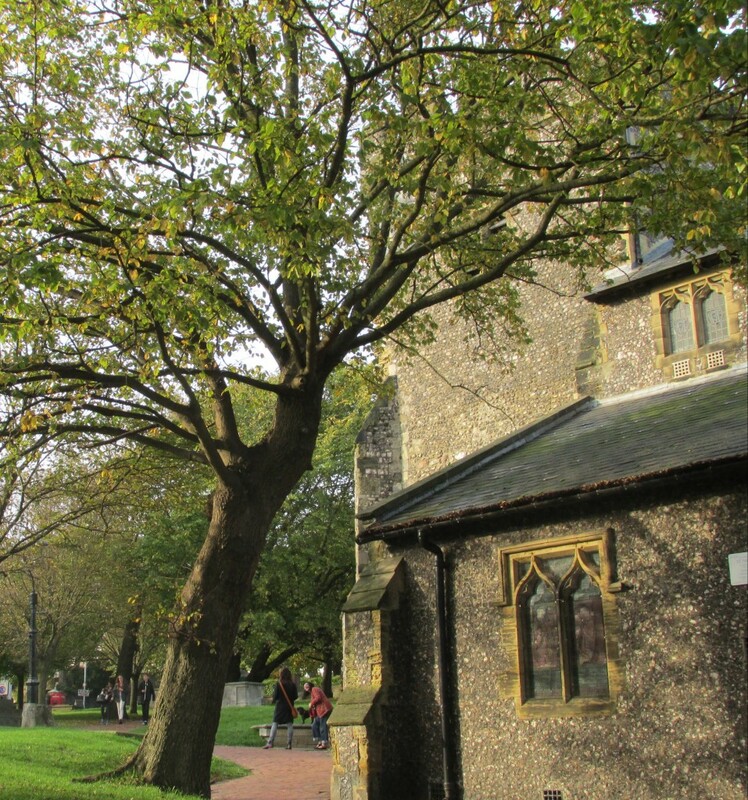 On a crisp autumn day St Nicholas’ Church is the perfect spot to escape the hurly burly of Western Road and crunch through fallen leaves in the footsteps of old Brightonians. The church itself has welcomed worshippers for over 900 years and the ivy clad headstones in the graveyard tell many tales; Martha Gunn, one of the town’s best-known residents from the 18th and 19th centuries, is buried here. Across the road from the church is an impressive stone archway – the entrance to St Nicholas’ charming Rest Garden. It’s a lovely little park originally laid out in 1840 as an extension cemetery. The garden now provides a welcome breathing space in the heart of Brighton. Blossoms in spring are stunning, but the golden autumn hues are worth catching too. Look out for the unusual Victorian burial vaults and tombs in the Rest Garden designed by Amon Henry Wilds in 1840. For many years hidden behind thick undergrowth, this grand stone façade – Grade II listed – can now be seen in all its glory. 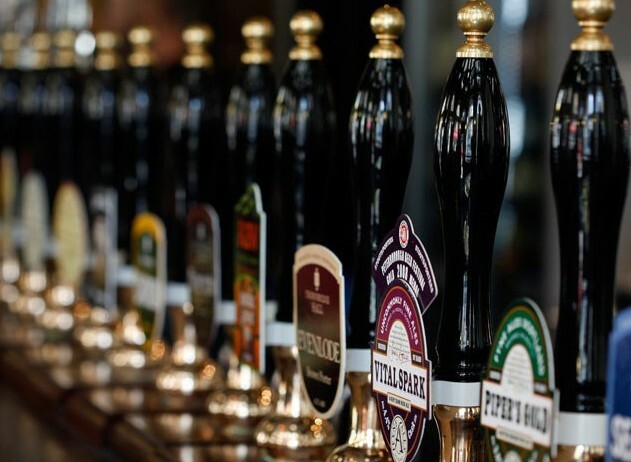 Delving into local history is thirsty work, so if you fancy a pint after a walk around the Rest Garden, hotfoot it round the corner to the Craft Beer Co pub on Upper North Street. You’ll find a cosy, unfussy pub stocked with a wealth of cask, keg and bottled beers and ciders and the most delicious gourmet burgers and chips. 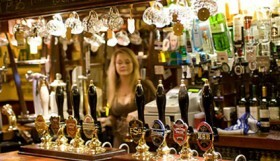 Beer-lovers will be in their element with the choice on offer. Yet another of our knock-out urban spaces, Hove Park blazes with cheery colour in October and November. A brisk circuit of this 40 acre wonder will give you a full-on fix of autumn. Take time to admire the trees – limes, elms, horse chestnuts, sycamores, and oaks – whose fancy foliage provide kaleidoscopic colour across the park. Kids will love skipping around the Fingermaze – circling paths cut into the grass, laid out in the shape of a giant fingerprint. At the south of the park, close to the Old Shoreham Road entrance, check out the famous ‘Goldstone’. This 20 tonne boulder was used by ancient Druids for worship and attracted so many enraptured visitors in the early 19th Century that the farmer whose land it was on, buried it in order to save his crops from damage. When the park opened in 1906 the Goldstone was reinstated and given pride of place here. It’s said that if you look very closely, you’ll see the shape of an eerie human face in the rock. Hove Park Café, a cute wooden chalet, decked with bunting and incredibly popular, serves excellent coffee, hot chocolate and herbal teas. Renowned for its full English breakfasts, cakes and healthy salad options, the kitchen caters well for veggies, vegans and the gluten-intolerant. It’s super family-friendly so be prepared to queue, especially during the weekend brunch-time rush! This one takes a bit of planning and a lot of luck, but if you catch a russet coastal sunset and a complimentary starling show down on the seafront, you’ve struck autumn gold. At this time of year, when the skies are pebble-dashed with cloud and the air is clear, we’re often treated to breathtakingly beautiful sunsets, lending an unearthly red glow to the evening light. For added drama, November and December are the months when thousands of starlings return to the UK from colder climes. The West Pier at Hove is a known spot for spectacular dusk ‘murmurations’ as these amazing birds flock in to roost on the iconic iron frame. 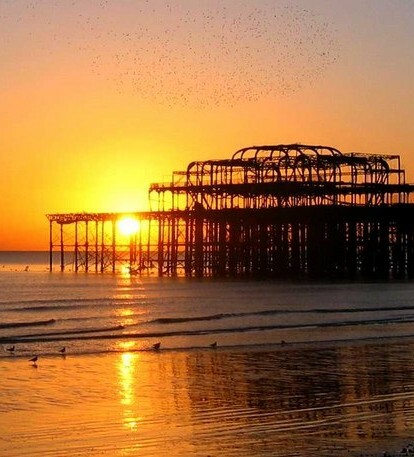 Although the RSPB has reported falling numbers of starlings arriving in Brighton from Scandinavia and Russia, there’s still a good chance of seeing the birds perform their spellbinding aerial rave – and it’s well worth an evening stroll to be in with a chance. Often mistaken for a fast moving dark cloud, the starling murmurations give us a taste of nature at its wildest and weirdest. Bring your binoculars and camera just in case. The Alfresco restaurant on the Kings Road probably offers the best seats in the city for moody views of the skeletal West Pier in soft autumn evening light. 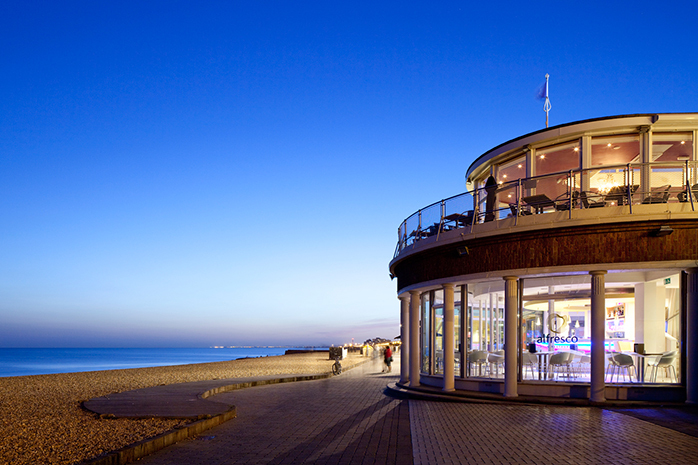 This family run Italian restaurant is right on the beach in the stylish glass La Rotunda building, boasting outdoor terraces and panoramic views from the chic upstairs dining room. Favourites on the autumn/winter menu range from braised lamb shank, to pulled pork risotto, to classic Margherita pizza and of course traditional tiramisu. Hopefully you’ll be polishing off a well-rounded Merlot just as the starlings come out to dance.